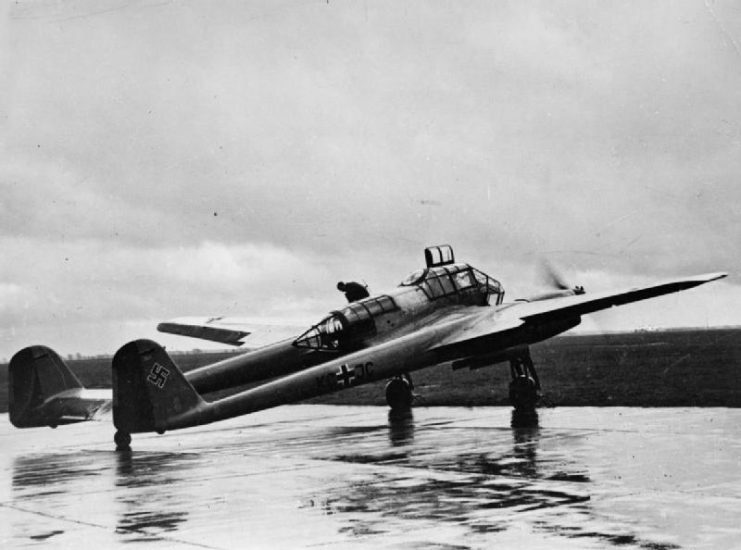 In the years leading up to WWII, the Focke-Wulf Company was at the very forefront of German aircraft design. 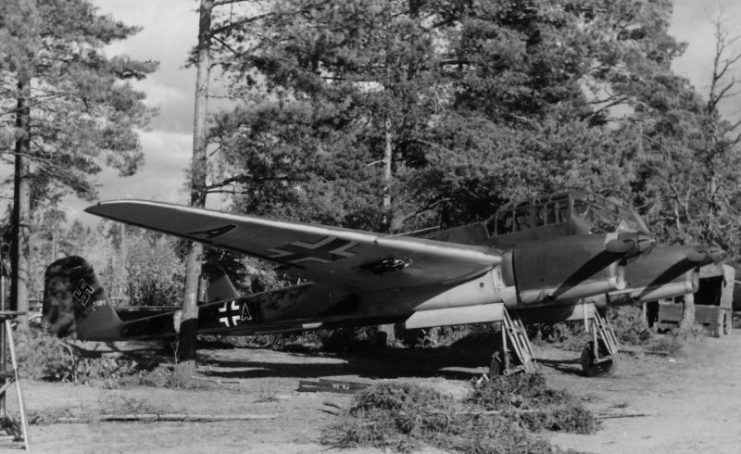 It produced cutting-edge technology which would give rise to a war machine that would lead the Nazis in a string of victories during the first years of the war. 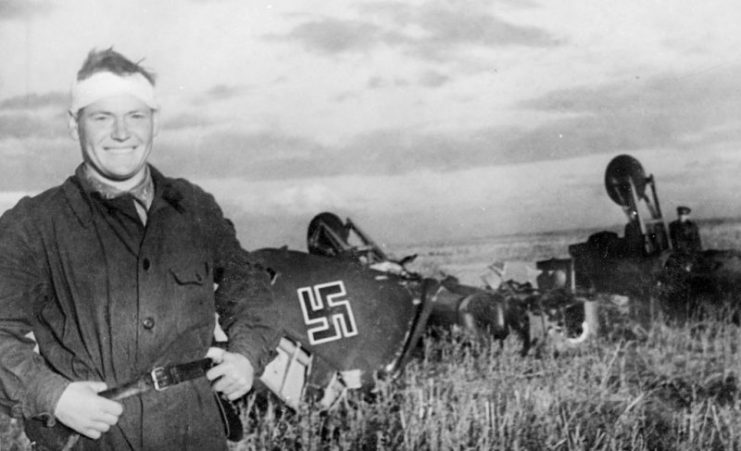 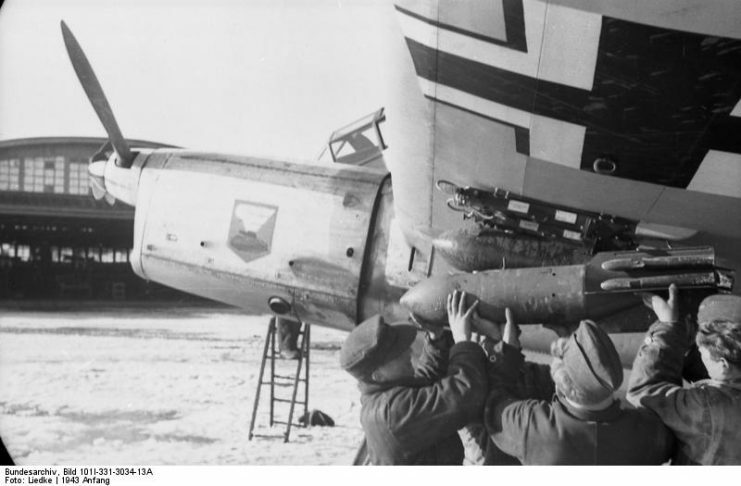 While the company is best known for manufacturing the iconic single-seat fighter, the Focke-Wulf Fw 190, there were a number of other designs under its belt that proved very useful to the war effort. 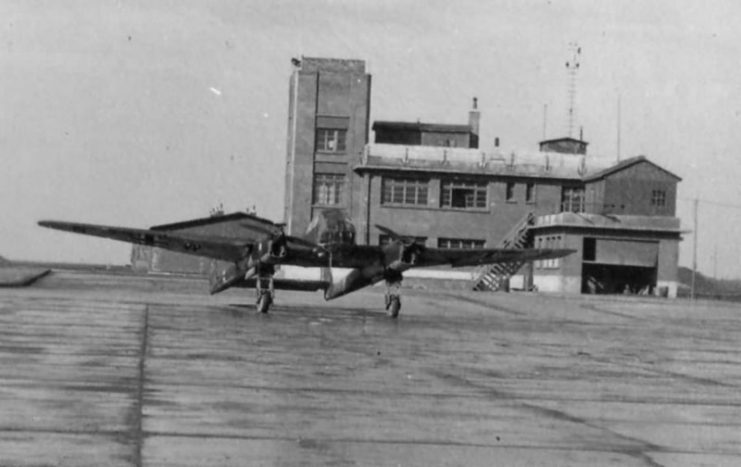 This twin-engined, three-seat recon plane was first introduced in 1938. 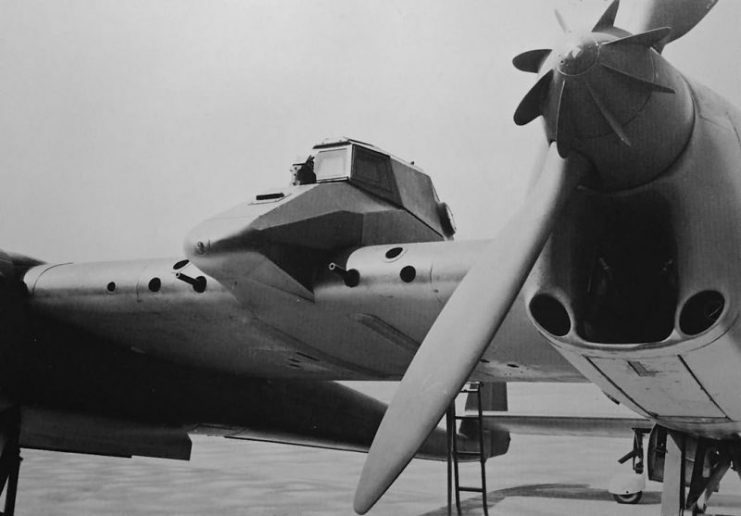 It entered service in 1940, just in time to prepare for the massive invasion of the Soviet Union. 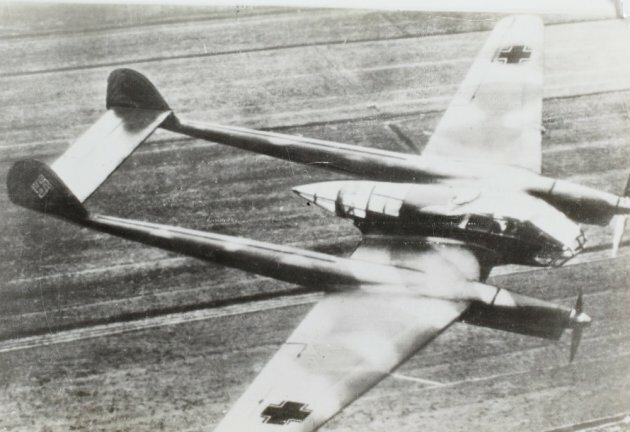 Patroling the vast flatlands of Ukraine and Belarus, the Fw 189 would guide the artillery with surprising precision. 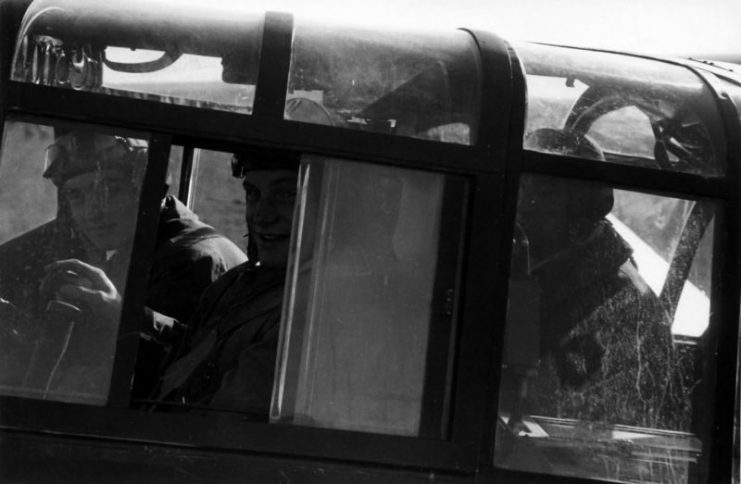 Its cockpit enabled an all-around view while its light design proved excellent for maneuverability. 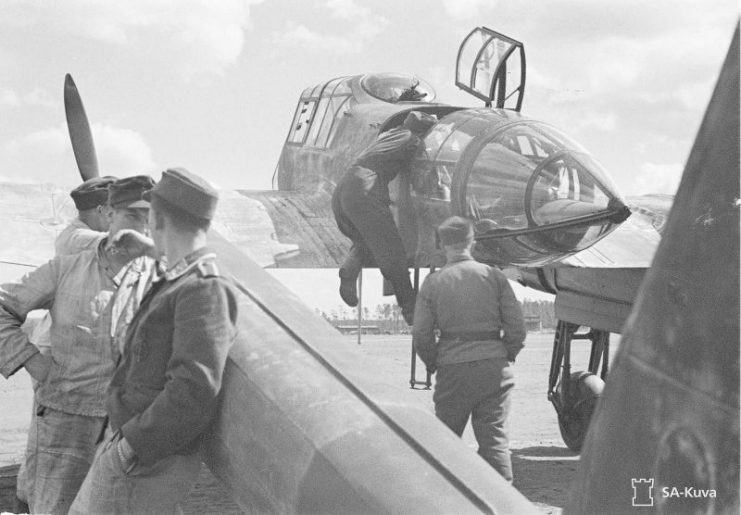 Referred to as “The Frame” by the Soviets due to its distinctive rectangular shape, the aircraft was capable of outmaneuvering enemy fighters by flying in a tight circle, which the attackers could not follow. 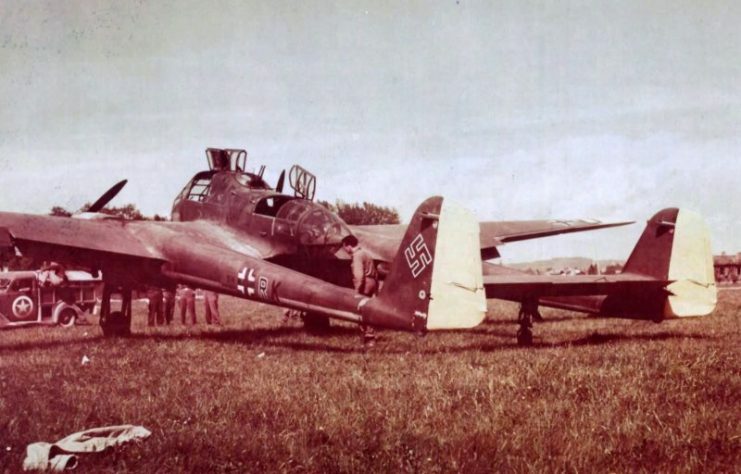 On the other hand, it was very lightly armored and couldn’t withstand much damage if it got hit. 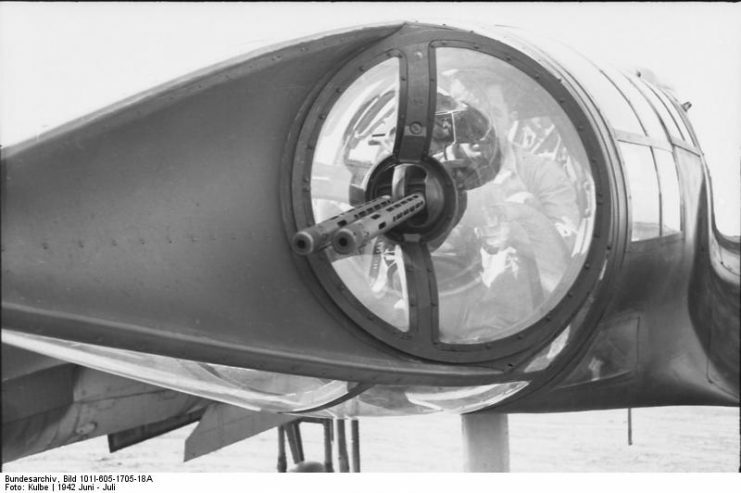 For its own defense, the FW 189 was usually armed with two flexible 7.92 mm (.312 in) MG 15 machine guns in the dorsal and rear positions, and one 7.92 mm (0.312 in) MG 17 machine gun in each wing root. 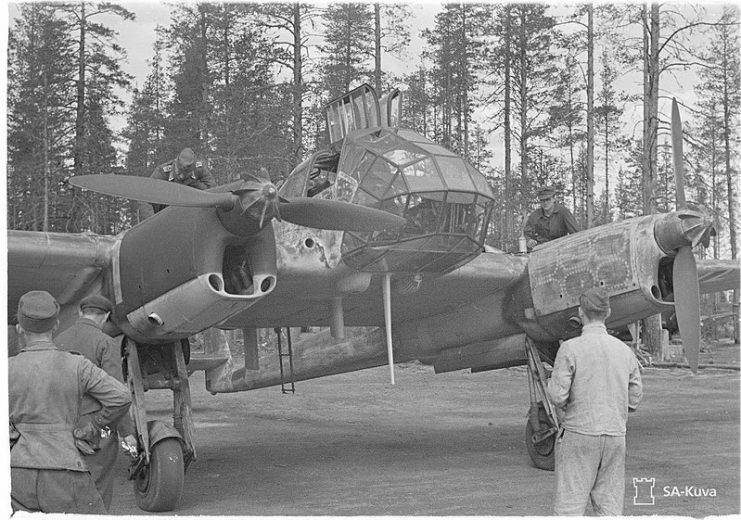 Besides from primarily serving as a spotting aircraft, the FW 189 also carried four 50 kg (110 lb) bombs, in case it had an opportunity to assume a bombing role. 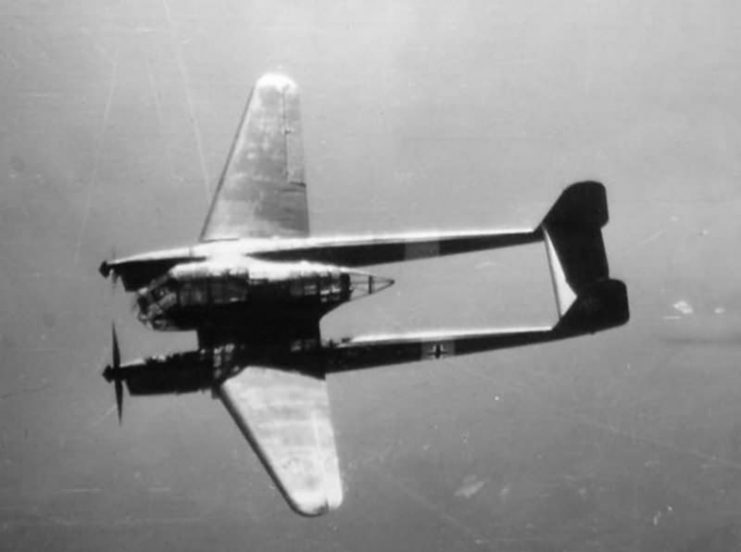 However, its primary weapon was its Riehenbildner aerial camera, which came in two variants: the RB 20/30 and the RB 50/30. 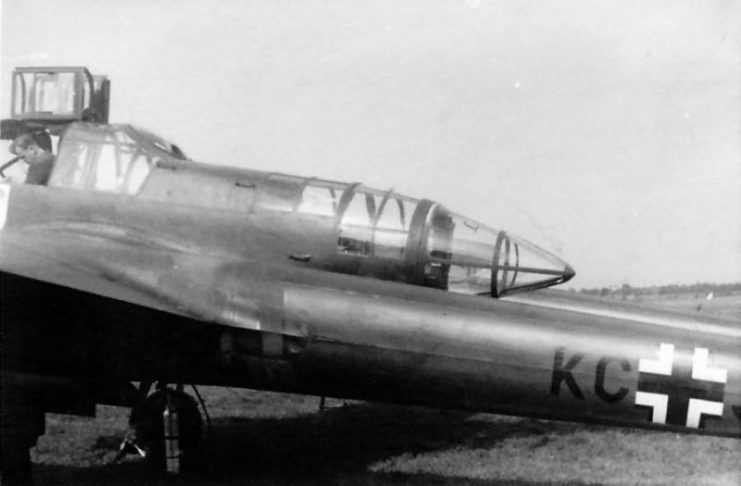 Around 864 units were produced, with production being halted in mid-1944. 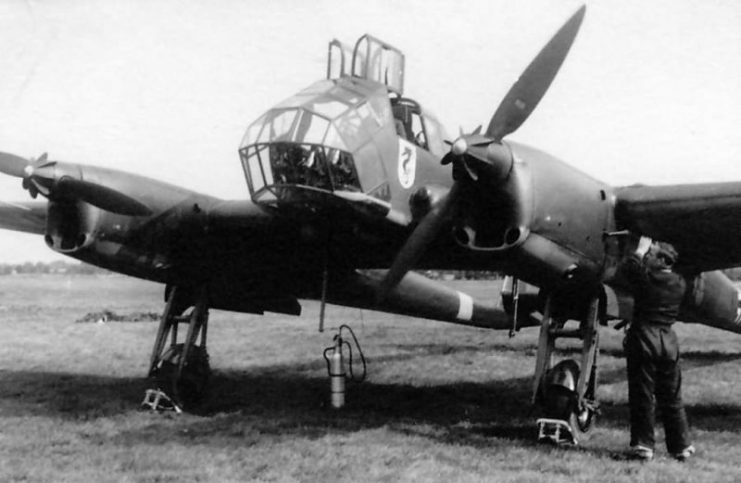 Used primarily by the Luftwaffe, the aircraft was exported to German allies as well, such as Hungary, Slovakia, Bulgaria, and Romania. 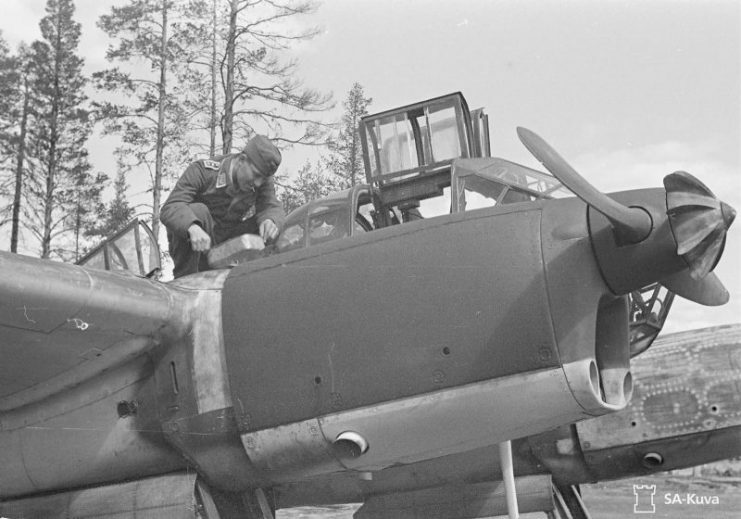 After the war, a number of FW 189 were included in the Norwegian Air Force, as they were left by the German occupying force after the retreat. 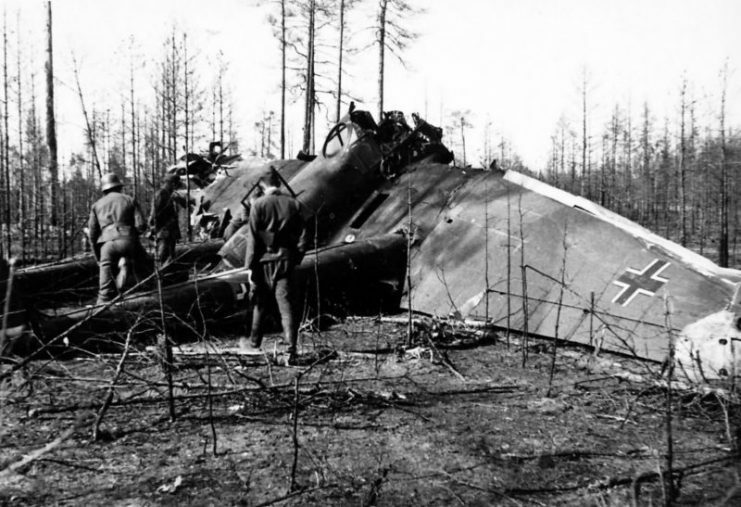 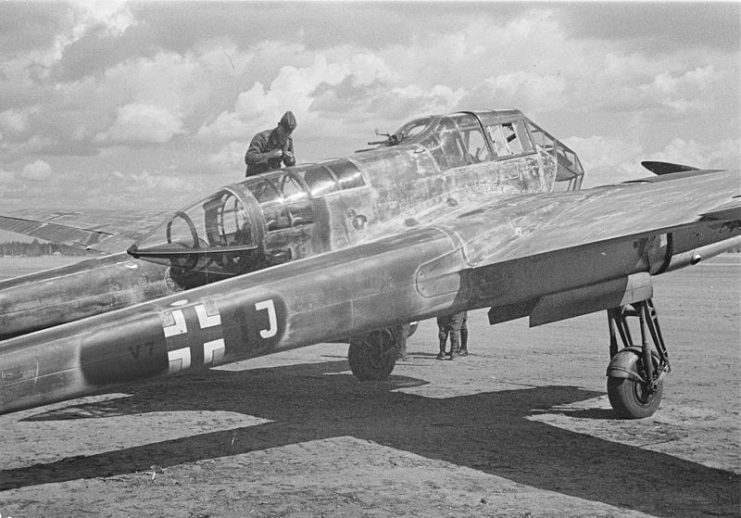 Only one FW 189 managed to survive to this day and is currently under private ownership, its whereabouts unclear. 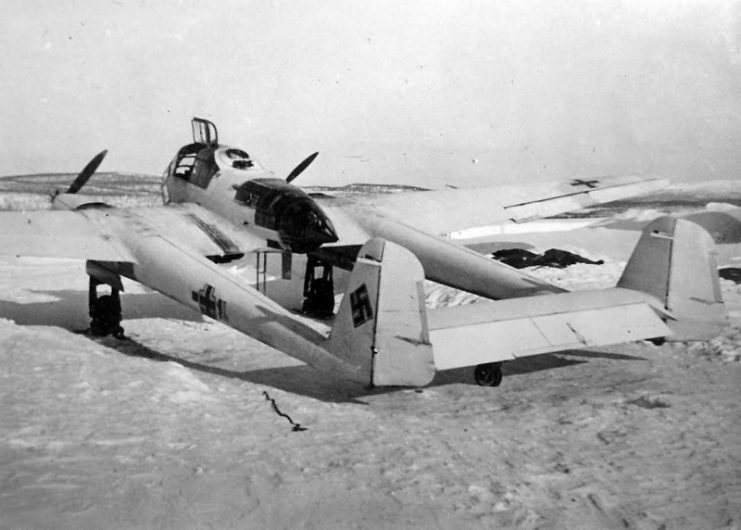 Focke-Wulf Fw 189A. 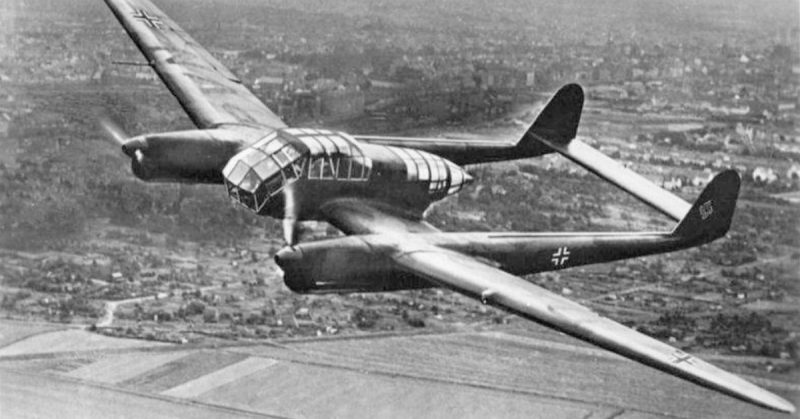 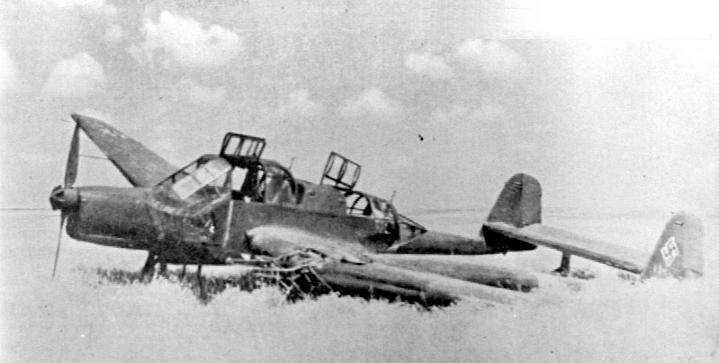 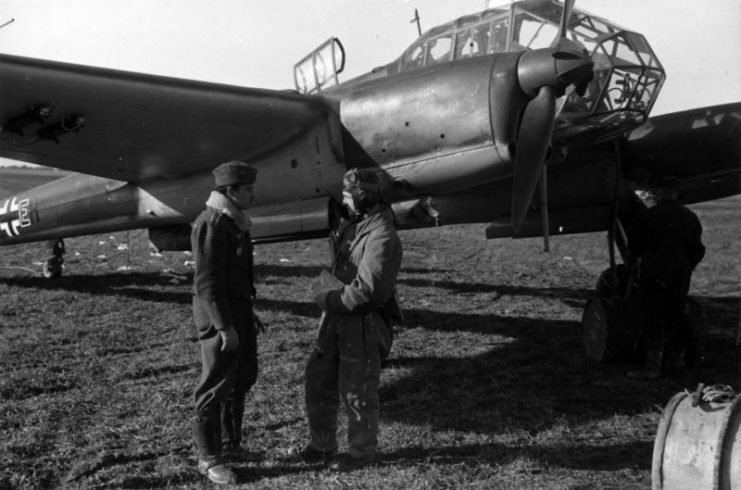 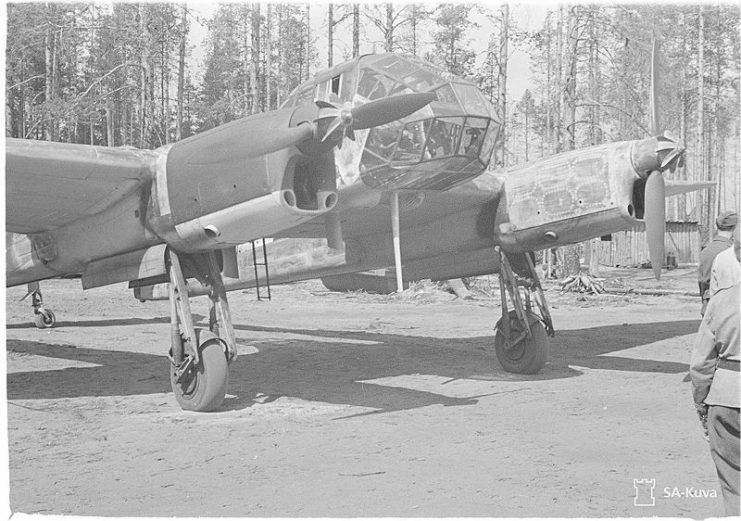 The twin-fuselage Fw 189 was designed as a light-bomber but saw service mostly as a short-range reconnaissance and liaison aircraft on the Eastern Front. 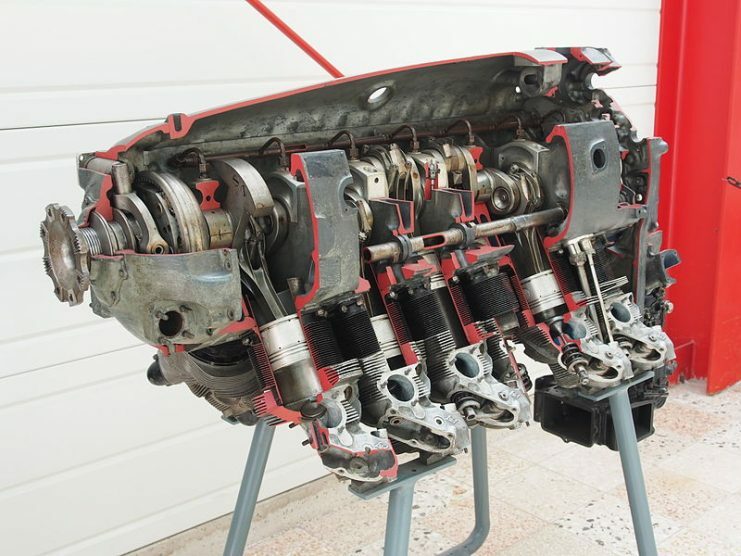 Fw 189A used by Rumanian ground attack students as transition tool from single-engine to twin-engine airplanes. 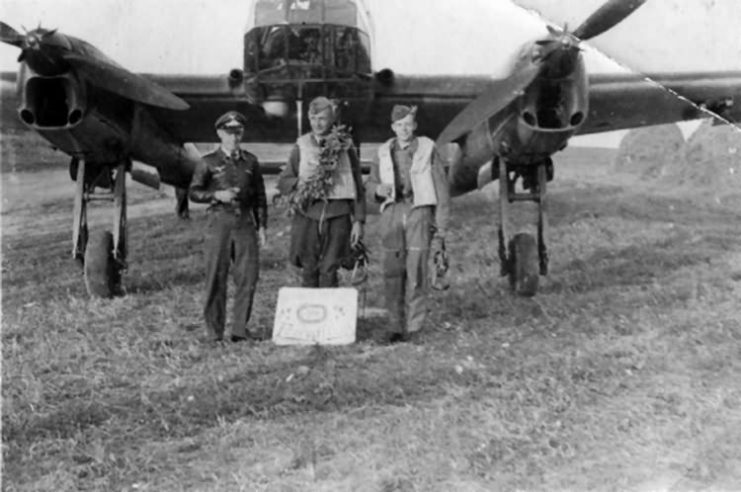 Eastern Front, Kirovograd, Summer of 1943. 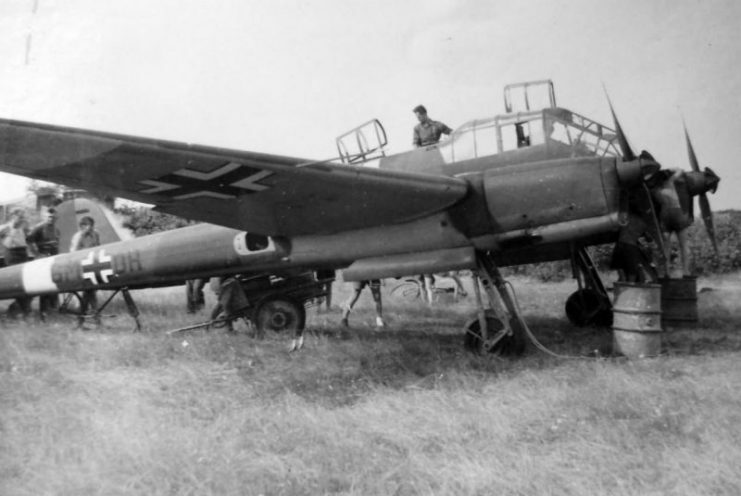 The German light bomb and intelligence machine brings German war corpses.